Thought leader, consultant, coach, workshop designer, and speaker. I design custom workshops to empower leaders and equip creative professionals with the essential skills they'll need in the areas of enterprise building, design, technology, strategy and business development. The following is a shortlist of clients I've worked with: BMW Group/ADO, Adobe's 99U Conference, General Assembly, Harvard, Consulate of the Netherlands, Merck and others. Leading 30 Weeks, Google’s design and technology incubator, has been one of the most challenging and rewarding jobs to date. 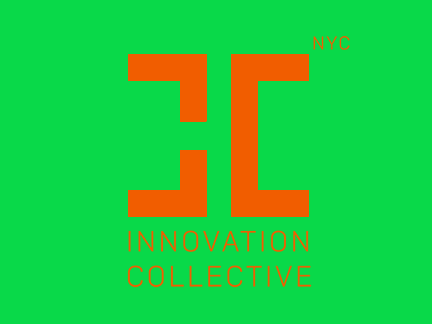 As Executive Director, I designed a carefully crafted business curriculum, a mentorship program, and built a community that included some of the smartest minds in design, tech, business, and venture capital in New York City. In under 2 years, over 8 million dollars of investment was raised. I’m an authority on social entrepreneurship, design-driven startups and creative leadership. My most recent speaking topics include scaling social impact businesses, why startups fail and mindful leadership. I've spoken at Harvard Business School, Massachusetts Innovation + Technology Exchange, The Social Good Summit, Core77, A Better World By Design, Social of Visual Arts Design for Social Change and others. There’s nothing more satisfying than working one-on-one with executives, entrepreneurs, and creative professionals to identify the challenges that they face. It’s not uncommon that their issues stem from faulty strategy, leadership and management failures, unhappy teams and outdated business models. I also work with mid-career professionals who are looking to transition into the social impact sector. AIGA is the premier professional association for design professionals. 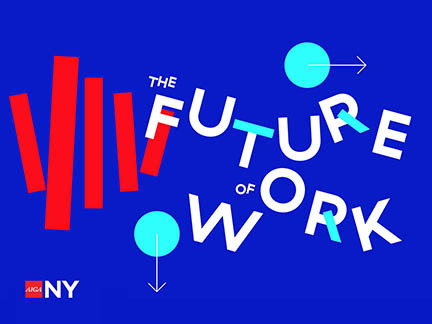 In February of 2018 AIGA's New York chapter will be launching a series about the Future of Work and the creative economy. Turquoise is a creative leadership consultancy which designs bespoke programs for Fortune 500 companies, creative businesses and social impact organizations. Tired of feeling stressed out about tasks that stay on your to-do list forever, even though you keep promising you’ll get to them? Want to stop criticizing yourself about all of the things you “should have” achieved by now? Believe it or not, you can change your habits and develop a new mindset about managing your time that will allow you to focus on what’s most important to you! Do you have an idea for a project you want to get off the ground? Whether on your own, or at your day job, have you gotten started but feel stuck because you’re not sure how to move forward and bring it to life? NY EdTech Week brings the art and style of New York to education technology. From TED Talk-style presentations, to performances by Ugandan drum circles and Broadway singers, to Shark Tank format pitches, NY EdTech Week consistently facilitates some of the most impactful and memorable ed-tech experiences of the year. I will be judging the pitches.